Yigal Arnon parted from the firm of Spaer-Toussia-Cohen where he was an intern and worked as a lawyer for four years. 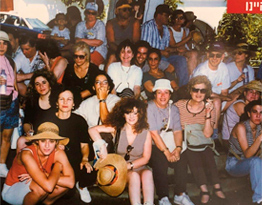 Yigal established the firm in 1957 in a rooftop floor of a at 11 Queen Shlomzion Street in Jerusalem, together with his partner John Nathan, an immigrant from New Zealand. The firm initially represented occasional clients from various industries, but the main activity of the firm was representing the Jerusalem branch of Israel Discount Bank and representing real estate developers mainly in the planning, construction and sale of apartments. John left the partnership shortly afterwardsand Yigal developed his client base mainly by representing evolving businesses in Jerusalem, as well as real estate developers, manufacturers, hoteliers and businesspeople in the city. During these years Yigal also practiced criminal law, and represented defendants in white-collar matters. Toward the end of the first decade, Yigal added Dror Vigdor to the firm and at the end of the sixties they were the two lawyers in the firm. 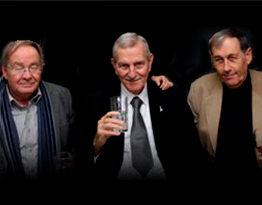 At the beginning of the seventies, Yigal offered three of the lawyers who worked with him to join him as his partners. These were Dror Vigdor, Rami Kook and Nira Koritzky. The growth of the firm was rapid, in part due to the opportunity given to Yigal by his friend Aharon Dovrat, to handle transactions and assets of the Clal Group. 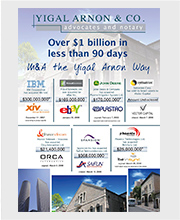 Yigal's success in the first matters paved the way for the representation by the firm of various entities in the Group, including construction company Azorim, which was already a leader in the local real estate market, and the insurance company Yuval which later became Clal Insurance. 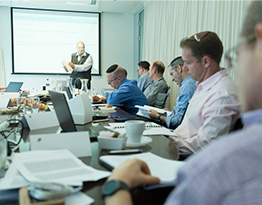 Upon commencement of work with Clal, a small branch of the office was opened in close proximity to the Azorim offices in Tel Aviv. 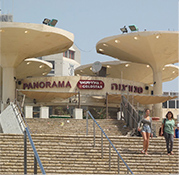 Later, the Tel Aviv branch of the firm was strengthened by Amalia Meshi and Yossi Avraham and the official Tel Aviv Branch was set up in Atarim Square. Still, the main activity of the firm remained in Jerusalem where Yigal himself spent most of his time. 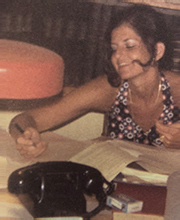 During those years, the firm expanded in the practice areas of real estate, insurance and commerce andrepresented significant clients, such as Reem (Jerusalem Furniture) and United Breweries. In addition, key proceedings groundbreaking rulings in the Supreme Court were achieved. 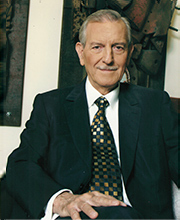 Towards the end of the 1970s, Yigal invited Paul Baris to join the firm and establish the International Department. 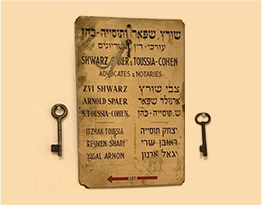 Paul was an experienced attorney who immigrated to Israel from the United States, an who brought the firm into the field of international transactions and representation of entities abroad. 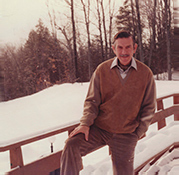 In March 2010 Paul Baris passed away. 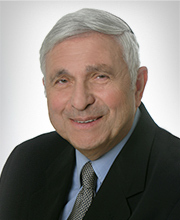 Paul was a pillar of the legal community, and served as a model to all partners and employees of Yigal Arnon & Co.
At the end of the decade, there were eight lawyers in the firm. 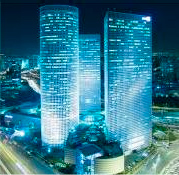 Yigal moved to Tel Aviv in the early eighties and the Tel Aviv branch of the office in Kikar Atarim developed and grew. Eventually it moved to "The Tower" on Daniel Frisch Street. Significant clients joined the firm which was already known to be a leader in its capabilities and scope. 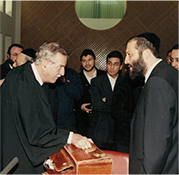 Yigal's reputation as an exceptional lawyer was wide ranging. The partners at the firm were Joel Shabtai, Eran Ilan, Amnon Lorch and Hagai Shmueli. The scope of the real estate practice grew significantly and the firm developed its practice in the capital market. The firm represented overseas clients who needed legal services in Israel and began to rapidly increase its pace of growth. 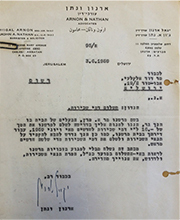 During this period, the firm took on significant matters relating to homeland security such as representing the hostages of the Air France plane to Entebbe in a large damages claim filed against the airline, as well as Shin Bet head Avraham Shalom in the matter known as "the bus 300 affair". At the end of the decade, there were 21 lawyers in the firm. At the beginning of the decade, Paul Baris recruited Barry Levenfeld and David Schapiro to the firm. Barry and David were both seasoned attorneys who immigrated from the US after having practiced in leading offices, and they quickly became partners in the firm. Together with Paul and with a team of attorneys who had immigrated from the US and Canada, the firm expanded to handling complex cross border transaction and matters of Israeli companies on foreign stock exchanges. 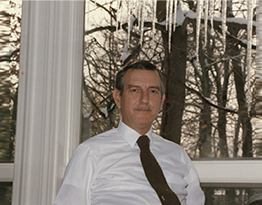 The firm's reputation grew in those years, and the office expanded greatly. 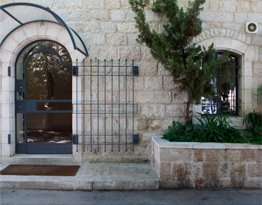 The offices in Jerusalem expanded and grew, to a stage that it was required to leave the historic building in Shlomzion St. for an antique unique building in Nahalat Shiva, which was renovated and adapted to the firm's needs. 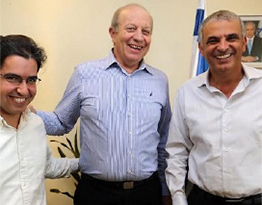 During this period, notably, the firm represented Ernst Yefet, CEO of Bank Leumi in the well known "Bankers Trial"`; Aryeh Deri, former Minister of the Interior, in two criminal cases in which he was charged, and Ehud Olmert, Mayor of Jerusalem, in the matter known as "the invoices affair". Leading figures such as Avraham Shapira, Yaakov Nimrodi and Gad Ze'evi were represented by the firm in their businesses. The firm was involved in the Azrieli Center project, the planning and construction of the Jerusalem Municipality and dozens of real estate projects throughout the country. Some of the firm's leading associates, including Barak Tal, Hagit Bavli, Shiri Shaham, Gil Oren, David Osborne and others, were promoted to partners, expanding the areas of practice and thus enabling the provision of "one-stop-shop" services to the firm's clients. At the end of the decade, there were 54 lawyers in the firm. 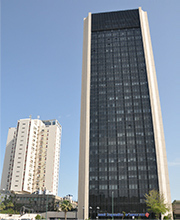 At the beginning of the decade, the firm moved to the newly opened Azrieli Towers in Tel Aviv and spread over two upper floors in the round tower. The office in Jerusalem also expanded to other adjacent buildings. The firm was firmly recognized as one of the three leading firms in Israel, and a large part of the services were provided to overseas customers and within the Israeli capital market industry. At the time, the firm represented Dov Tadmor, at the time a senior manager in Discount Investments Ltd. in a high profile trial; Yigal Arnon was appointed Chairman of the First International Bank. The firm expanded its areas of practice and provided expert solutions in most areas of civil law. Towards the end of the decade, the firm starts representing defendants in class action suits. Major clients, who are prominent players in the Israeli market, are represented by the firm and the firm plays a significant role in the venture capital and high-tech industry. 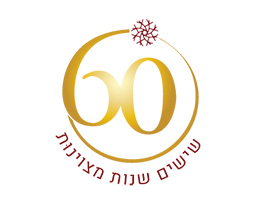 Towards the middle of the decade, Yigal informed the firm's partners that he will be reducing his activity in the active representation of clients, and with his help the partners discussed and agreed on the partnership agreement and the management of the firm by the partners after Yigal's retirement. At the end of the decade, there were 106 lawyers in the firm. 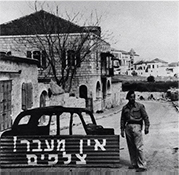 At the beginning of the decade, Yigal suffered an accident from which he did not recover. He passed away in 2014. During this period, the firm has expanded into new markets and areas of activity, and has become the leader in representing defendants in class actions, financing infrastructure and energy projects, activities in the Far East, managing purchase groups and complex urban renewal projects and more. The mergers and acquisitions practice area has developed, and the firm has represented clients in most of the large cross border transactions for high-tech, start-up and emerging industries' companies. Notably, the firm represented Intel in the Mobileye deal, the largest ever high tech transaction in Israel; Eliahu group in the acquisition of the Migdal insurance company; the purchase of Discount Bank shares; the financing of the Tamar and Leviathan drilling and more, and among its clients are the technology giants, Google, Intel, eBay and others. The offices in Tel Aviv have doubled in size and are now spread over four floors in Azrieli Center, and the office in Jerusalem has expanded to additional buildings in Nahalat Shiva. The firm's growth continues on an organic basis in a continuous and traditional way, most of it through the joining of young lawyers who have successfully completed their internship in the firm, as well as the lateral hires of leading lawyers in various fields. The firm has many and varied areas of expertise and it provides complete professional legal support for leading clients in Israel and around the world. The firm is also involved in public activity and social involvement, and has successfully led a petition to update and increase the wages of IDF soldiers. The firm has successfully positioned itself as a leading and ground breaking firm in many fields and ranks as a leading firm in almost all areas of law. The business of providing legal services is undergoing many changes and disruption, both globally and locally, including due to globalization, technological innovation, cultural generation gaps amongst lawyers as well as amongst clients, and more. Even in these days of rapid business changes and technological innovation, the firm is continuing its growth and development, and continues to act according to the values and standards since its foundation - professional excellence, business acumen, integrity and giving.